"Guaranteed match price" Will beat or match any advertised price by an Authorized Tyent Dealer. Ask for details!!! 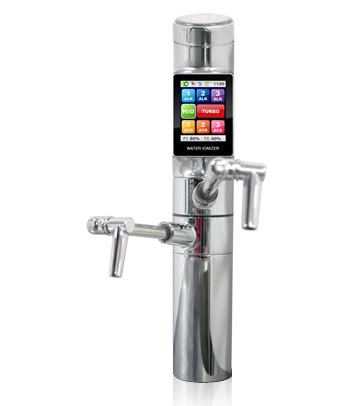 The UCE-9000 Turbo Water Ionizer produces pH levels from the lowest acidic levels to the highest alkaline water levels available in the industry today. 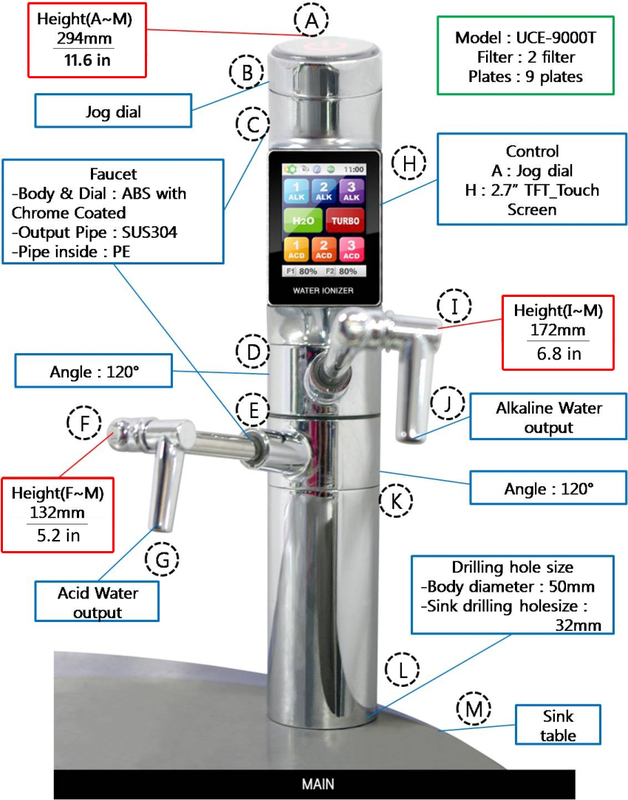 Users can more easily use the UCE-9000 Turbo Water Ionizer since it is coated by touch panels and its functional selection is displayed by icons. Warning voices enable to more safely and conveniently use the product for the explanation and safety of various functions. Safety examinations are conducted according to the setup conditions after the installation of the UCE-9000 Turbo Water Ionizer, and voice guides are done in case of impropriety. 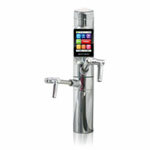 The UCE-9000 Turbo Water Ionizer is the first ionizer in the indstry to have an automatically controllable SMS method power supply. The power provided to each part is monitored at the CPU chip and is safely supplied to maintain the safe use of the function of the product. The filters consisting of the 1st high efficient filters and the 2nd functional filters realize the best clean water status fitted to serviced water. 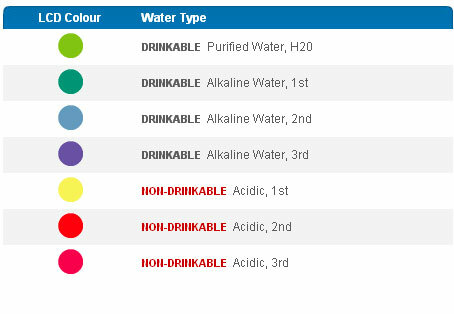 The first filter is the Primary Active Carbon Filter (ACF). This filter filters relatively large suspended matter like rust and dregs, residual chlorine in water, and volatile organic compounds. It has plenty of inorganic minerals and gives good heat conductivity, and dissolves nutrients well to convert into the ingredients for human body to react well. Thus, it improves metabolism of human body. It has plenty of mineral and makes water stable because this ceramic has been baked from the clay fermented by TM. Used to disinfect and sterilize discloths, cutting boards, etc. in the and kitchen, and to clean bathrooms and so on. Used to clean cutting boards, knives, sinks and other household goods. Filter Configuration Primary - ACF activated carbon fiber.